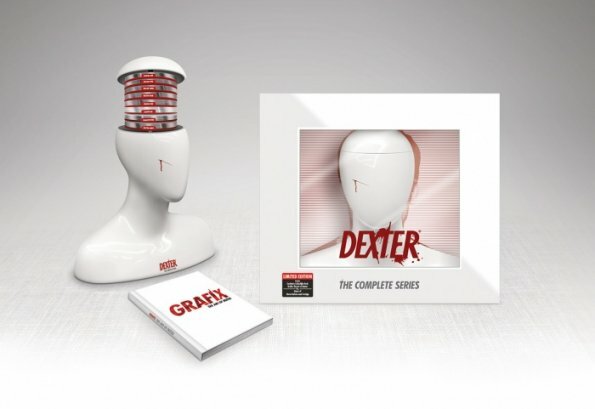 The complete Dexter series collection will be released on Tuesday November 5th, 2013. In the photo above you can how the box set looks like! 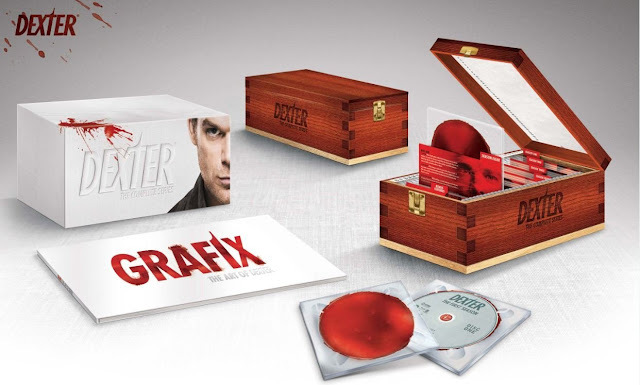 8 seasons, exclusive art book and a bonus disc of killer special feature in a collectible slide box inspired by the one Dexter himself uses on the show to catalog his kills. Join your favorite serial killer in all 8 chilling seasons of Showtime’s Emmy® and Golden Globe®-winning series. DVD collection includes 33 discs, featuring all 8 seasons’ episodes and the bonus disc.